We’re big fans of vaping CBD. 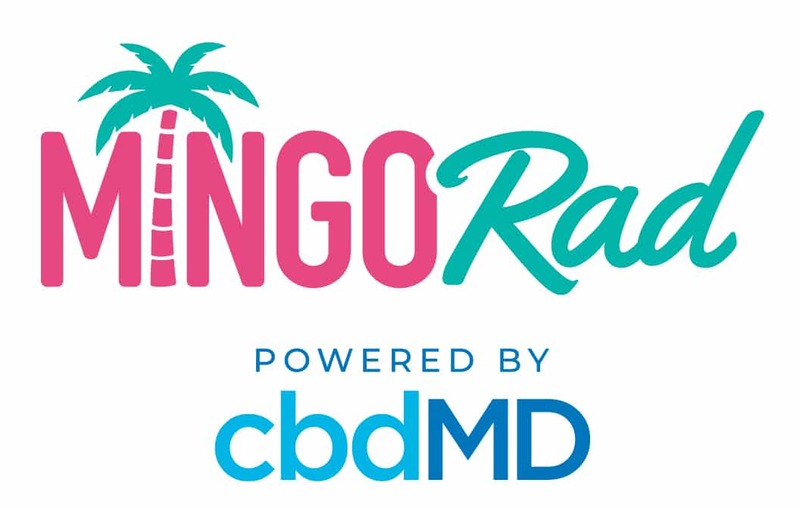 So, when cbdMD came out with Mingo Rad, an entire line of CBD vape oils, we couldn’t wait to give it a try. The mission of Mingo Rad? To provide the purest and highest quality vape products on the market. 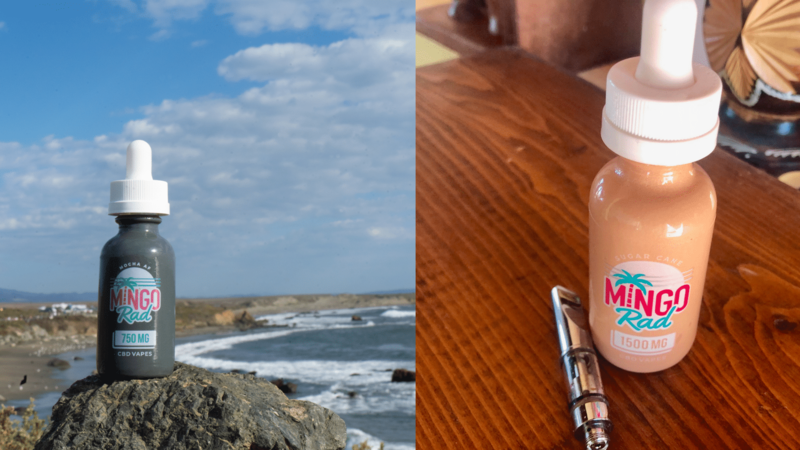 Before we get into a review of what Mingo Rad refers to as “naturally-good CBD with a funky twist of flavors,” we want to share a little bit about why vaping CBD can be so beneficial. Like we said, we love to vape CBD. And know that we’re not the only ones. Vaping is one of the most popular methods of CBD delivery. Why? Because it offers the fastest effects. There are quite a few ways to consume CBD. You’ve got tinctures, capsules, and gummies galore. Then there’s the option of vaping CBD…which is something many people swear by. This is because vaping CBD allows for almost immediate relief. It all comes down to bioavailability. Basically, when you consume CBD only a percentage of what you take actually makes it into the bloodstream. This percentage is what bioavailability refers to. Different consumption methods contain different bioavailability levels. When you consume CBD orally (think in the form of a capsule or edible), it must pass through the digestive tract and liver, where much of it is absorbed by the body’s fatty tissues and is then further broken down by the enzymes of the liver before making its way into the bloodstream. Taking CBD sublingually (a tincture under the tongue) offers a bit more bioavailability than oral consumption. Rather than making its way through the digestive tract and liver, it’s absorbed by the mucous membranes under the tongue before making its way to the bloodstream. Sublingual application is more rapid than oral consumption, but the effects aren’t exactly immediate. Anyone interested in immediate relief knows that vaping is the way to go. Vaping CBD offers the highest bioavailability because it’s absorbed by the lungs, where it then makes its way into the bloodstream. It’s much like smoking or vaping marijuana. The effects come on almost immediately compared to eating an edible or taking a THC capsule. One study that looked at the bioavailability of different methods of THC consumption found that the bioavailability of smoking THC was around 18%, while eating a THC cookie had a bioavailability of 6%. And while CBD won’t get you high like THC, its therapeutic effects are felt much more quickly when its vaped (or when smoking CBD flower). Think about it like this. If you’re someone who suffers from anxiety and you take CBD, would you rather have instant relief or wait around for it to kick in? We’ll go for almost immediate. Which is why they offer a whole line of CBD vape oil…that does an amazing job at deviating from the mainstream market. Are they doing what they’ve set out to do? First of all, Mingo Rad is committed to quality. They’ve let their customers know that they’re simply here to help heal with pure CBD vape oil made without any additives, harsh chemicals, or GMOs. Mingo Rad calls themselves “an eclectic group of enthusiasts” with one common goal. To find a more natural approach to health. What do they say about meeting this goal? “We found our beach,” says Mingo Rad. Seeing as I’m personally someone who lives 250 steps from the Pacific Ocean, they had me at beach. But what about Mingo Rad’s vape oil products themselves? How does the “fresh flavor vibe” they offer compare with other vape oils we’ve tried? Each bottle of Mingo Rad CBD vape oil is sourced from non-GMO, organic hemp grown in the USA. What exactly does Mingo Rad add to their vape oil? Ingredients include: CBD, propylene glycol (PG), vegetable glycerin (VG), and natural flavoring. What exactly is lipid pneumonia? Basically, it’s a form of lung inflammation that develops when lipids enter the bronchial tree. Which isn’t exactly something in line with optimal health, which is why we’re all about CBD in the first place. We can respect that Mingo Rad took the precautions and have used ingredients that are considered safe and optimal when it comes to vaping. Something else we can appreciate about Mingo Rad is the selection of strengths they provide. Not only does it work for every budget, but also offers an option for a variety of different conditions. Just need a little relief? Go for a 300mg size. Need some stronger relief? You’re covered with 1500mg. More in the middle? The 750mg size is perfect. The flavors of Mingo Rad are really where it’s at. When we said they deviated from the mainstream, we weren’t kidding. The assortment of flavors Mingo Rad offers isn’t like anything else available on the CBD scene that we’ve seen so for. It’s truly a refreshing break from the norm. While we’ve yet to try all of their flavors (trust us, we can’t wait), we did try the Sugar Cane in 1500mg. We easily refilled an empty vape cartridge and once it was fully charged, we gave it a go. It hit like a dream. Wasn’t harsh in the slightest and produced a nice, thick cloud of vapor. As far as the taste goes, we’re sold. Sugar cane sweet, but not overbearing. Smooth, mild, and natural rather than harsh, heavy, and artificial. We honestly feel that we’ve found a new favorite. We personally try not to use artificial anything, which is one reason Mingo Rad vape oil appealed to us in the first place. That and the fact that it’s made by cbdMD, a company we’ve come to know and trust. 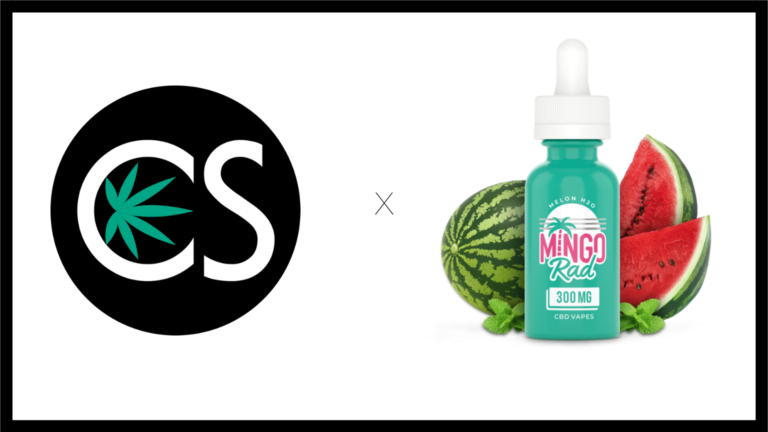 If you’re into vaping CBD, we highly recommend checking out Mingo Rad. 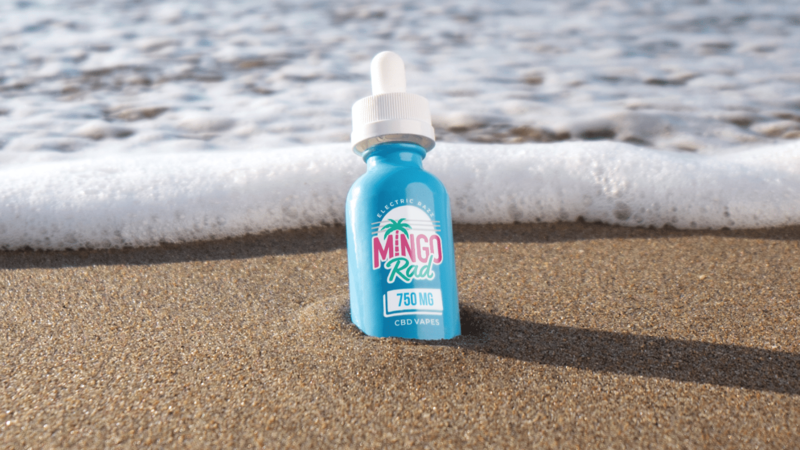 Not only do they offer an assortment of flavors you’re not going to find anywhere else, but Mingo Rad is committed to offering the highest quality CBD vape oil you can find. We’d love to see some third party lab results available on the Mingo Rad website, but that’s truly the only drawback we found. What’s even better is that Mingo Rad offers a 30-day money-back guarantee on every purchase you make, so if you’re not satisfied, you’re not missing out on anything. One review of the Sugar Cane we tried said the “flavor combo was amaze balls,” and we couldn’t agree with them more. 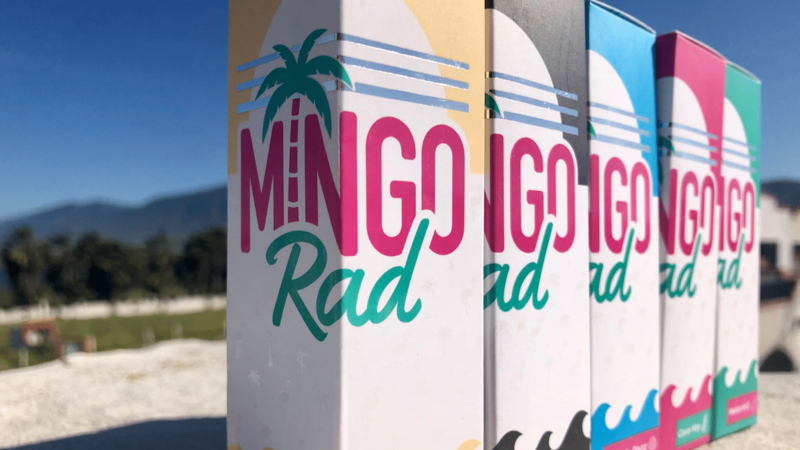 Have you tried Mingo Rad? We’d love to hear about your experience in the comments below. Very keen to try the various vapes and oil tinctures available as I suffer chronic pain and osteo arthritis as well COPD and cysts wrapped around nerves in neck that give me migraines and Leave me wiped out I’m in a disability pension so any help with a coupon code would need greatly appreciated.